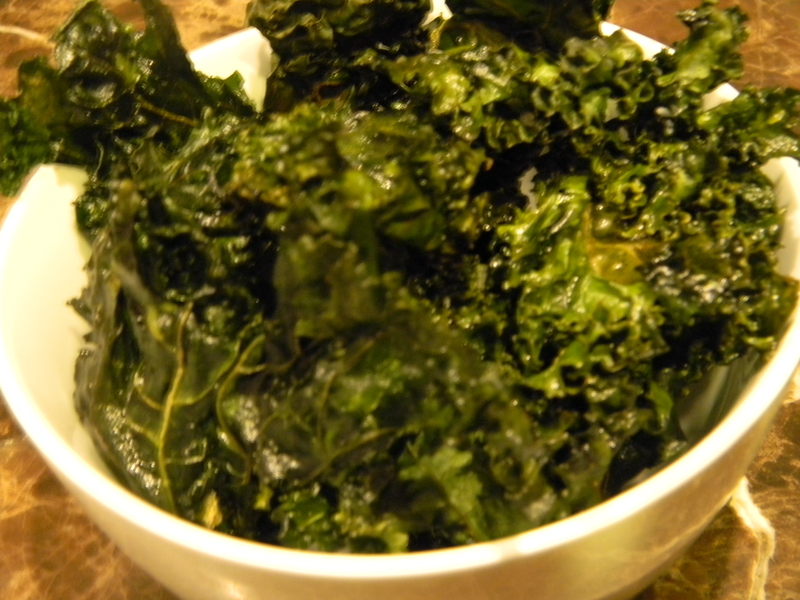 Kale chips are the newest food revolution. I, sadly, had not caught on to this revolution until just recently. I am now in LOVE with them! In a potato chip fight, they would give them a serious beat down. They are healthy, GREAT for you (fiber, phytochemicals, antioxidants, need I list more? ), taste way better than a cruddy bagged chip full of chemicals, and easy to make. You could toss them with a bit of garlic powder, smoky paprika, and or toss them with a bit of lemon juice. Remove the rough ribs down the center with a knife and tear the leaves into 3 inch pieces. Toss the leaves with 1 tablespoon olive oil, and a 1/4 teaspoon salt. Spread the leaves out on 2 baking sheets. Bake at 350 degrees until browned around the edges and crispy, 12 to 15 minutes. i guess i am behind the times. never heard of kale chips before. Yum! I will have to try your cooking method. I usually do 30 mins at 250, switching my pans halfway through–but having them ready faster would be even better! 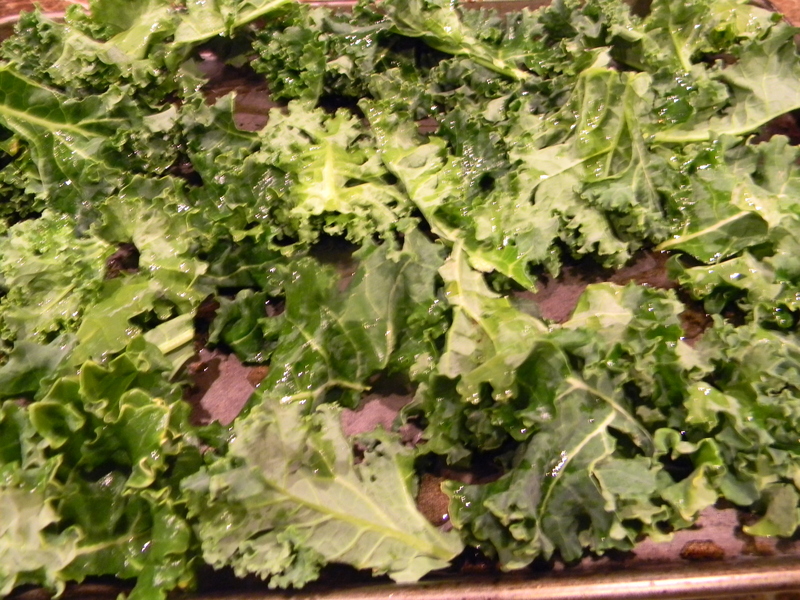 Kale chips are sooo good! And so easy to make. Yours look great! Thanks! Man those little buggers are addicting!